The Heelys vision is to inspire kids to be active, explore their freedom, unleash the fun and be fearless. For kids, Heelys aren’t just shoes. Heelys are an attitude, a way to express themselves, push their own boundaries and experience their world around them in a truly unique way. Heelys encourages kids and people of all ages to explore their world and lead active and healthy lifestyles through the benefit of movement; whether it’s through walking, running, or skating. With Heelys, it’s your choice. Heelys dares its wearers to be themselves and encourages them to make their own place in the world! 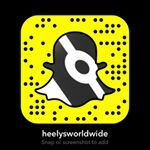 Heelys is looking for fun and stylish influencers to create content with our new styles! DESCRIPTION OF THE PRODUCT: The Heelys vision is to inspire people to be active, explore their freedom, unleash the fun and be fearless. For kids, Heelys aren’t just shoes. Heelys are an attitude, a way to express themselves, push their own boundaries and experience their world around them in a truly unique way. 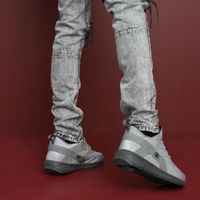 Heelys encourages kids and people of all ages to explore their world and lead active and healthy lifestyles through the benefit of movement; whether it’s through walking, running, or skating. With Heelys, it’s your choice. Heelys dares its wearers to be themselves and encourages them to make their own place in the world! • You have at least 10.0k Instagram followers. • You are located in United States; California; New York.